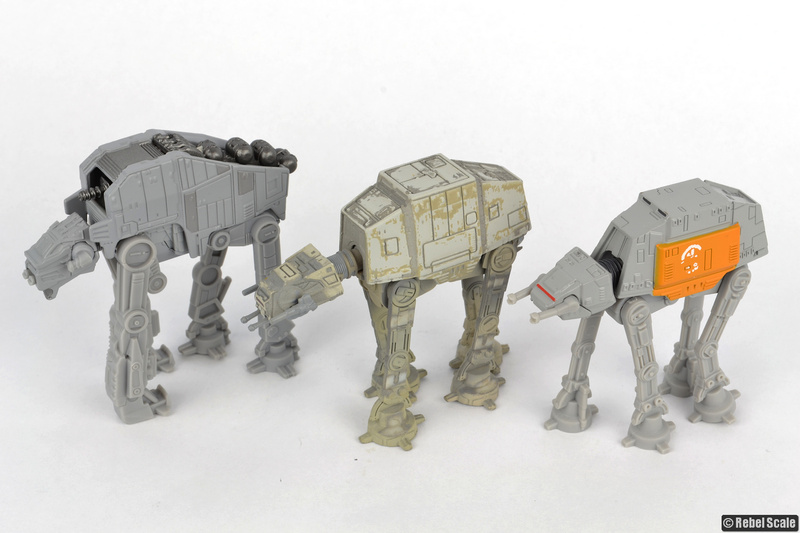 Hot Wheels began their Star Wars line in 2016, on the heels of Hasbro's re-re-release of the Titanium line. 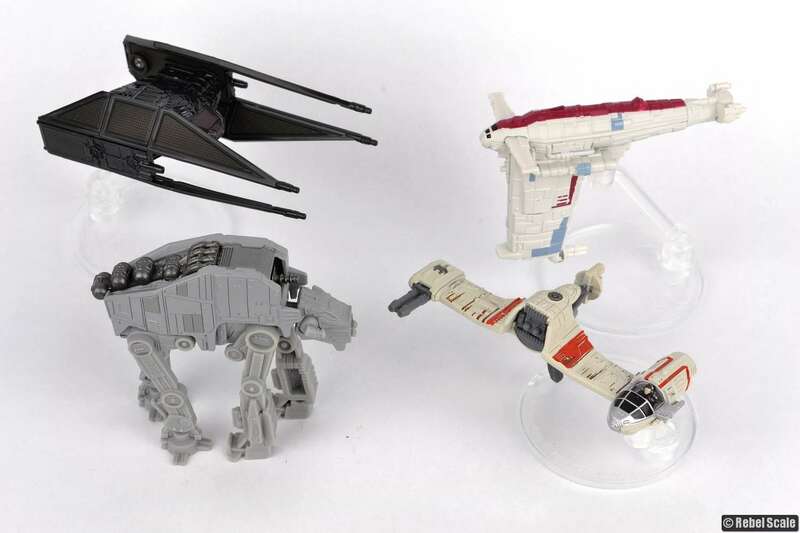 Initially, Hot Wheels only released Star Wars-themed cars. Later, they expanded to die-cast vehicles with rubbery-plastic detail parts. Most of these come with some type of stand. While there have been several unique vehicles, Hot Wheels details are not as good as Titanium offerings. Hot Wheels models typically have thicker parts with limited details, as well as very little poseability. 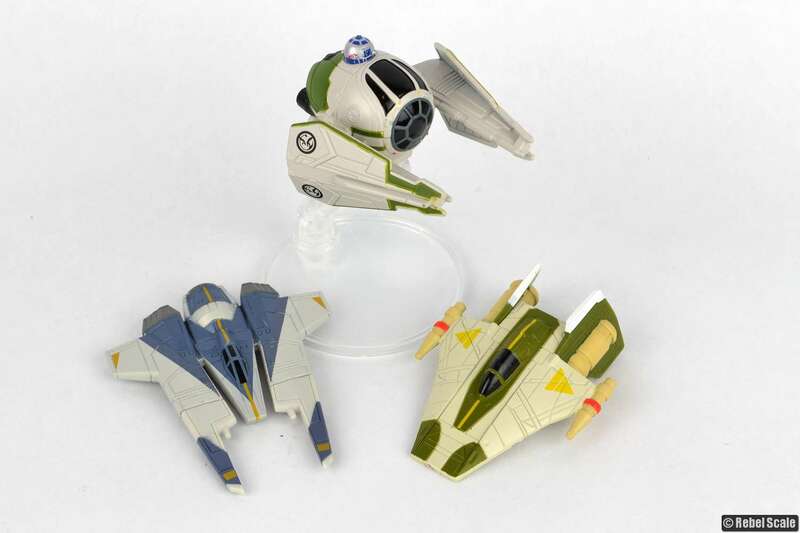 Still, it's nice to have a die-cast version of Yoda's Jedi Starfighter. I have a question about scale…is the number you are using the ratio typically used for scale I.e. 1:578 or 1:60? Or is this referring to something else? Thanks! Correct. Something with a scale of 578 is the same as 1/578. Leaving off the 1/ makes it easier to sort. I also have a little image on reading these lists at the bottom of the Scale Lists page. Best!